It's so embarrassing to miss a major anniversary. A few days ago, it occurred to me that I had missed a big one - the ten-year anniversary of this blog! Since launching in 2009, RationalistJudaism.com has had over a thousand posts, and seven million pageviews, as well as countless posts that circulated via e-mail subscription. The top ten posts had between ten and thirty thousand views. Perhaps most gratifying of all, it really seems that the word "rationalist" has entered many people's vocabulary and is now heard much more frequently. It's been quite a journey. 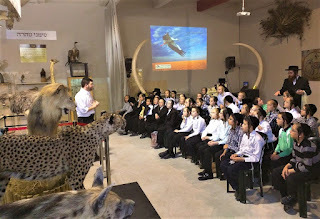 Topics have included dinosaurs, IDF avoidance, hyraxes, werewolves, Kupat HaIr, counter-terrorism techniques, the Betech battles, Zionism, the international dateline, demons, the Cross-Currents combat, angry birds, extinction, jumping elephants, Groundhog Day, leaving peeled garlic overnight, the Gedolim, Yissacher and Zevulun, rabbinic authority, metzitzah b'peh, theodicy, bans, kezayis, magic rings of power, post-charedim, pigs in streimels, beavers biting off their testicles and throwing them at people, the Deluge, sexual relations, cosmology, when lashon hara is a mitzvah, quackery, Rambam, brain-death, miracles, antisemitism, spontaneous generation, pi, EJF, robo-rabbis, mass hysteria, the Zohar, the religious politics of elections, the chicken wars, Colonel Patterson, Israel advocacy, Batman, evolution, Daas Torah, platypuses, segulos, intersectionalism, Ghostbusters, exposing endless distortions of Torah and science, and so much more. Oh, the memories! If you feel that you identify with the values of this website, and that you have benefited from this forum, the next 48 hours are the ideal time to show your appreciation. Because by making a donation to the new building for The Biblical Museum of Natural History within the next 48 hours, your donation will be quadrupled! In celebration together with the supporters of this mission, I would also like to offer a special gift for those who donate $180 and above: a PDF containing all ten years' worth of posts! This was actually quite technologically complicated to assemble, but it makes it easy to search for topics, and you can print it out for comfortable Shabbos afternoon reading. It's quite a huge file - nearly 2000 pages! After making your donation, write to office@biblicalnaturalhistory.org and say that you donated as a RationalistJudaism reader, and they will send you the file. If you become a patron of the museum and donate $1800, we will send you a printed copy - in several volumes! Thank you for joining me on this journey, and here's to the next ten years! UPDATE: I miscounted! It's actually nine years! Oh well. Now that I've gone to the effort of compiling the entire blog, and it's an opportune date vis-a-vis the museum campaign, we'll celebrate this day anyway! This is it! An incredible opportunity is here. The Biblical Museum of Natural History finally has the opportunity to purchase a proper home! We are poised to acquire a magnificent new building, right by the entrance to Beit Shemesh, which is six times larger than our current facility, and far more prestigious! And we have generous donors willing to QUADRUPLE the donations that we receive over the next three days - if we raise $400,000, that will become 1.6 million dollars! Check out the terrific video at our campaign page - with a view of the building, and messages from some very special people! 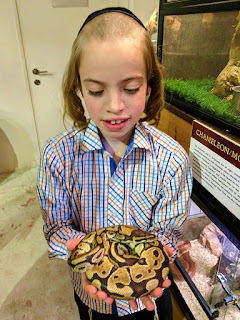 If you read my writings, then it probably means that you value teaching people to have a greater appreciation of the natural world and the natural sciences, from a Jewish perspective. This is the way that you can be a part of it! We inspire and educate tens of thousands of people, from all sectors of society - in fact, we probably have the widest reach of any educational institution in Israel. With your help, we can increase that from tens of thousands to hundreds of thousands! Please join us in turning this vision into reality! Click on this link to go to our matching donation page. You can also write to us for details of specific exhibit dedication opportunities for larger donations. Whether or not you are in a position to donate, please help spread the word. Forward this link, https://www.causematch.com/en/projects/newmuseumhome/, to your family and friends, tell them that you think it's a great mission to support, and be a part of making this happen! "Jerusalem museum censors evolution exhibit to avoid offending ultra-Orthodox." That was a news story the other day, after the natural history museum in Jerusalem (not the Biblical Museum of Natural History in Beit Shemesh) had placed a sheet over an exhibit about human evolution during visits by charedi groups. When the short-staffed institution didn't get around to removing the sheet before the regular public visited, one visitor became very upset, and the story reached the press. The denunciations of the museum were swift to roll in. Museums mustn't cover up the truth! Science should not be censored! 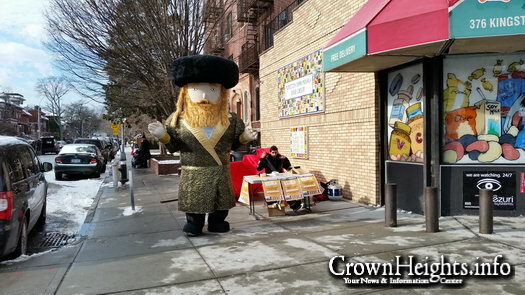 If the charedim don't want to know the facts, then they shouldn't come! As someone who has spent twenty years trying to teach science to religious Jews - with successes and failures - as well as operating The Biblical Museum of Natural History for just over three years, I think that these criticisms are deeply, deeply mistaken. The goal of the natural history museum is to teach as much science as possible to as many people as possible - perhaps especially to those who have the least understanding of science. Now, if you value science, then you value being honest about factual reality. And the factual reality is that if you have an exhibit on human evolution, then charedim won't come, and you won't be able to teach them any science at all. Is that really helpful? Of course, you have to use good judgment, and weigh up the situation - censoring certain exhibits could have the effect of preventing some people from visiting. But this museum's procedures were eminently sensible. 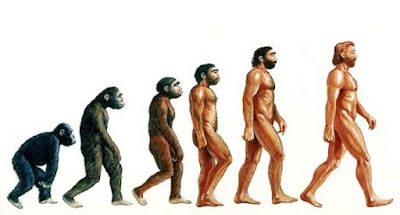 Cover up the evolution exhibits for charedi visitors, and reveal them for the other visitors. When we opened the Biblical Museum of Natural History, there were those who criticized us for not displaying dinosaurs. This criticism was likewise out of place. Aside from the fact that dinosaurs are not actually related to Biblical Natural History, it would have crippled our mission. 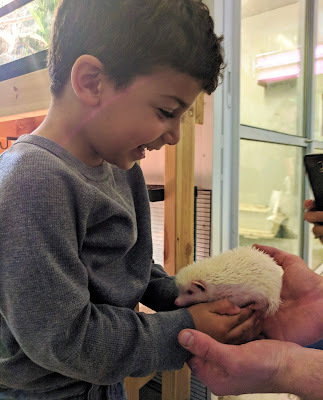 We've managed to inspire and educate thousands and thousands of charedim about the natural world. These are people who never read science books, never watch documentaries, and often don't even go to the zoo (because it's open on Shabbos). If we displayed dinosaurs, then they wouldn't have come. Would that have made sense?! Trust me, I understand that people don't like the notion of science being censored! But you've got to think about the situation rationally, evaluate the facts, and then the correct course of action becomes clear. It's scientific. Stay tuned for the next two blog posts, which will be very significant! Extraordinary rainfall in Israel is usually a cause for celebration. When the torrential downpours began this week, there was much laughter. On the Facebook page of the Biblical Museum of Natural History, we posted a photo of a creature that unexpectedly turned up in a flooded street. Well, nobody's laughing now. And I'm not sure that people will ever react to torrential rains in the same way again. The tragedy yesterday is horrific on numerous levels. Ten young adults - one boy and nine girls - cut down in the prime of life. Ten families wrecked. Fifteen other young adults forever traumatized. A nation that is deeply shaken - everyone sends their kids on tiyulim, and you trust that the organizers know what they are doing. How do we respond? There are a few things that are required of us. Empathy and solidarity is one. As Rambam states, people who do not express pain at such things, and merely say, "Eh, these things happen," are displaying cruelty. But Rambam also says that such behavior also causes further such tragedies. And, certainly in this case, it's easy to see what he means. Why did this terrible disaster happen? Unfortunately it's all too clear. I don't even think that "Rabbi" Yosef Mizrachi will be blaming it on zee eeemodest weemin. It was appallingly irresponsible for the school to take the students on a desert hike in such weather. Everyone knows that when there is rainfall, there is a risk of flash floods in the desert. The police had issued a warning against excursions. 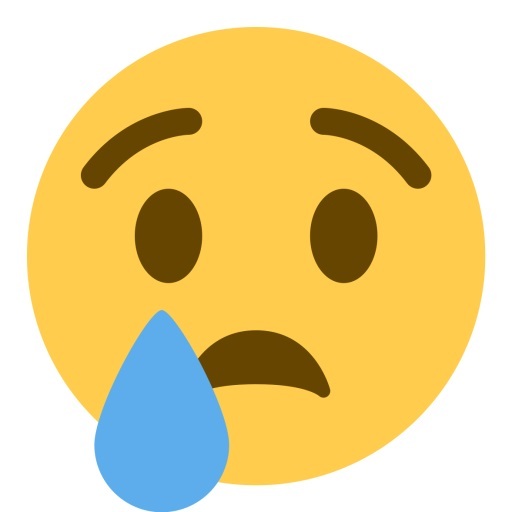 Most heartbreaking of all, there are WhatsApp messages from one of the victims from the day before, asking her friend why they are going on an excursion that will surely lead to their deaths - and the friend replying that the school surely knows what it's doing and will not take them anywhere dangerous. What happened? It's similar to the Versailles wedding hall disaster. I remember back then that there were actually some people talking about the aveiros that caused it. But as one rabbinic friend of mine pointed out, the explanation was obvious. It was the inevitable result of a certain mindset that cuts corners and says, "Eh, the rules don't apply to me." But they do. Because the "rules" are not just man-made, legal rules. They are God's rules, the rules of nature, the laws of physics. And they apply to everyone, with no exception. Now, the average person is thinking, "How terrible! I would never do such a crazy, dangerous thing." Well, we might not take a group of students hiking in a desert canyon during dangerous weather conditions. But can we really say that we would never do something dangerous, thinking that the laws of nature don't apply to us? Do we smoke? Today, mostly not. But do we use our phones when driving? That's something which science clearly reveals to be dangerous. But do we care, or do we say, "Eh, the rules don't apply to me?" Until they do. Having experience sudden family tragedy first-hand (not due to cellphone use), I can tell you that one of the shocking aspects is that we have a deep-rooted belief that these things only happen to other people. But the laws of nature and science and statistics apply to everyone. Let us at least make the tragic deaths of these ten young people have some meaning. Let us resolve to more careful, more responsible, and to realize that nobody is above the law. On a happier note, please tune in next week for two very significant announcements! Don't forget that you can subscribe to this blog via email using the form on the right of the page. Last Shabbos I picked up two Torah leaflets in my local shul. One was sublime, inspirational, amazing, educational. The other... not so much. The former was the inaugural issue of HaMizrachi, the official publication of World Mizrachi, the religious Zionist movement founded by Rabbi Yitzchak Yaakov Reines. It actually commemorates one hundred years since the publication of the first HaMizrachi in Poland. 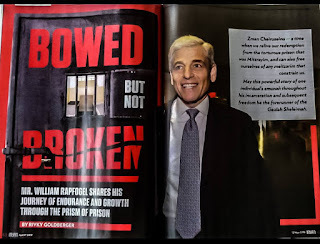 The booklet includes articles by such illustrious figures as Rabbi Lord Jonathan Sacks, Rabbanit Racheli Frankel, Rabbi Yosef Rimon, Rabbanit Shani Taragin, and others. It can downloaded at www.mizrachi.org/hamizrachi, and I very much look forward to future issues. Reading the introduction by Rabbi Doron Perez (who also authored a fantastic piece in the Koren/Mizrachi Yom Ha-Atzma'ut Machzor), I learned something surprising. The organization's name, Mizrachi, is actually an acronym for MercaZ RuChanI, expressing its goal of providing a spiritual base for Zionism. Who knew?! The other leaflet that I picked up was the official publication of a certain branch of chassidus. I've picked up a few of them, and they inevitably irk me, because they are chock-full of implausible miracle stories. I don't mind the occasional chassidishe miracle story (preferably told with a twinkle in one's eye) which has an inspirational message, and I recognize how such an approach is beneficial for many people. But, at least with the few issues of this publication that I have seen, that's all it is! Miracle story after miracle story after miracle story. This particular issue had a section about the holiness of Shabbos, and it was really over the top. It contained several short anecdotes, and as I read them, my eyebrows kept going higher and higher, until finally they shot off my face and hit the ceiling. 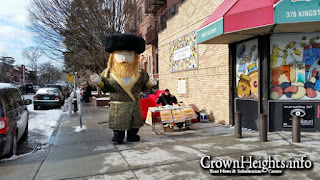 The first anecdote was regarding der heiliker Ruzhiner, and about how when Shabbos started, his appearance changed so dramatically that anyone who wasn't watching would think that it was a different person. The second was about how a "famous doctor" testified that there is an actual change in the pulse of a Yid's hand on Shabbos. The third was about how the Baal Shem Tov's Shabbos clothes were a much larger size than his weekday clothing, but both sets fitted him perfectly, because on Shabbos he was much bigger. The fourth was about how Reb Chayim of Chertovitch had to change his place in Shul every Shabbos, because his weekday seat was under a beam, which cleared his head during the week, but did not do so on Shabbos, when he was a full head taller. As nonsensical as all this is, in the past I would still have just dismissed it as harmless entertainment. But lately I have grown increasingly concerned about the effects of teaching people to be utterly naive and gullible about Holy Men. Ha-aretz had a frightening article about the cult surrounding convicted sexual predator Rav Eliezer Berland, whose followers believe that he is God in human form, and that it is permitted for him to engage in actions that would be forbidden for others. And I've posted here several times about people getting taken advantage of by other "holy men," or making other damaging choices due to their complete lack of critical thought. I am beginning to think that such Torah leaflets could be downright dangerous. Although, I must say, my suit does feel smaller on me by the end of Shabbos! And an ultra-charedi principal of a cheder in Beitar who came to check out the museum, and liked it so much that he is sending 120 children. Stay tuned for a major announcement about The Biblical Museum of Natural History coming next week! 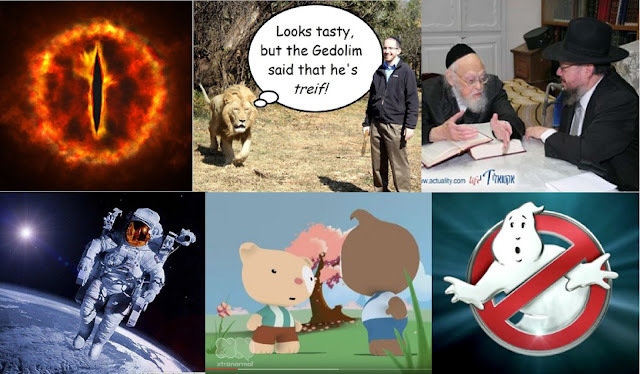 It's sad that some people seek to bolster emunah through ridiculous stories of sentient pigs, flawed "proofs" from animals that chew the cud, or pseudo-scientific demonstrations of auras. Because there's something so much more powerful which, unlike our ancestors, we are blessed to have right in front of us. It's the single greatest miracle in post-Biblical history: the return of the Jewish People to their ancestral homeland. An ancient nation, exiled and dispersed and massacred with the most horrific persecution in human history, fulfills its ancient prophecies and returns to its homeland, to create an amazing country and triumph against overwhelming odds. Is there anything more inspirational than that?! Then there are all the amazing aspects of the War of Independence. The only reason that Israel had soldiers at all were to due to the remarkable events of the life of Colonel John Patterson, the lion hunter of Zion. The fledgling army didn't even have communication devices for its forces, and relied on a network of carrier pigeons. 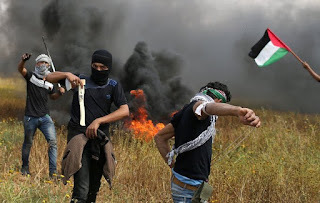 Israel's homemade Davidka mortar turned out to be wildly inaccurate and completely useless at damaging things, but it did make a very loud noise, and that scared away Arab forces! And ever since the War of Independence, it's been miracle after miracle. Entebbe. The Six-Day War. The absorption of refugees from all over the world. The desert turning green. The tiny state turning into a source of technology and ideas that improve life all over the world. 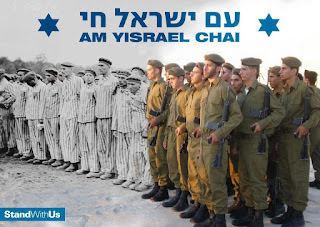 Yom Ha'Atzmaut celebrates the greatest miracle in recent history. There's nothing more worthy of celebration (see Rav Eliezer Melamed's discussion at this link). Chag Sameach! There are three approaches to Yom HaZikaron that are found in the charedi community. By far the most common is that which I practiced during my years in the charedi community: obliviousness and indifference. For the vast majority of charedim, Yom HaZikaron just doesn't register for them. They don't know anyone in the IDF, and they don't want to be part of the national community that is mourning those who fell in battle. If they happen to be walking in the streets while the siren sounds, then they may well stand still out of good neighborly relations, but otherwise they don't see any reason why this day should be significant. For a very small minority of charedim, most of whom live down the street from me, a truly disgusting approach is taken. 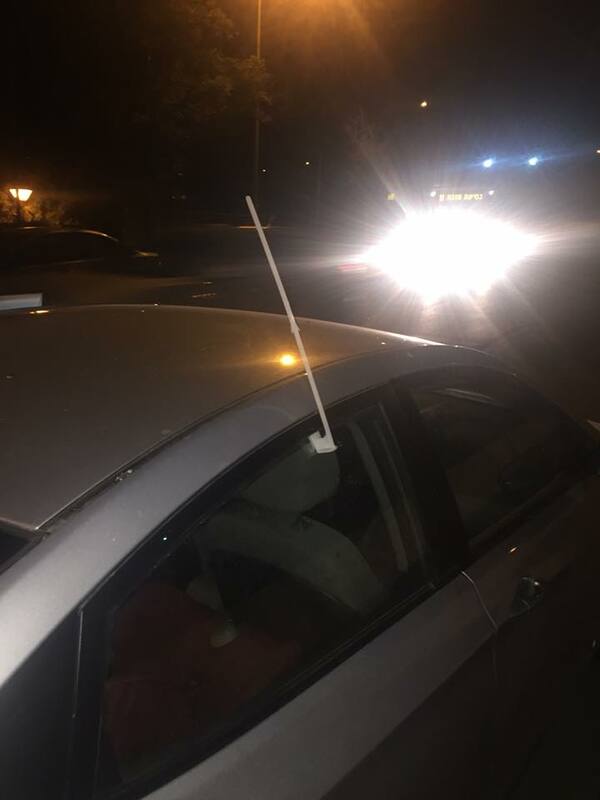 They will steal Israeli flags from cars and homes, and they will holler and jeer during the siren. 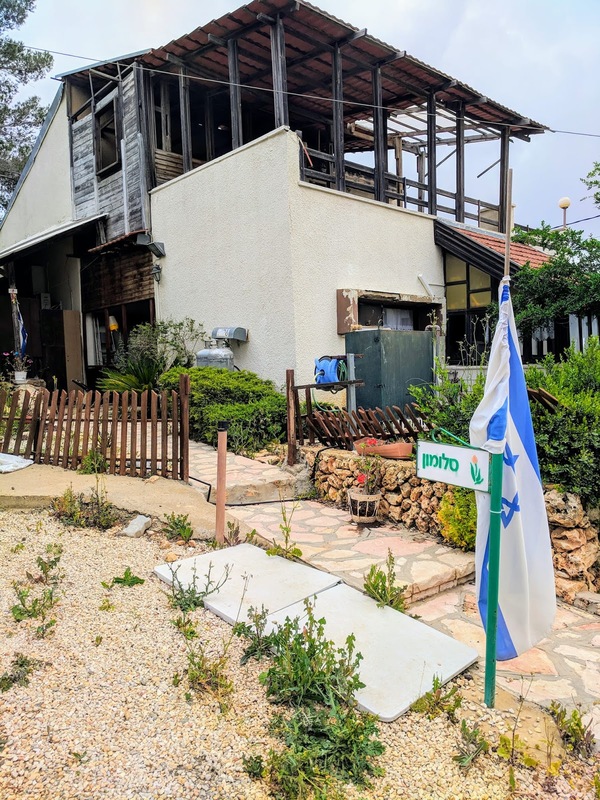 The Beit Shemesh municipality even had to ask the police to safeguard the flags in the military portion of the local cemetery, after they were twice ripped down in the last few days. 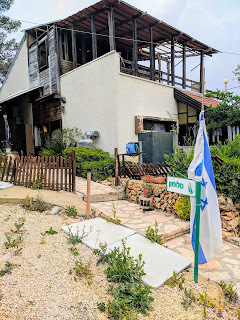 The flag destruction is very, very upsetting to local Zionist residents - it is done mostly by children, but often accompanied by laughing adults - yet unfortunately there does not seem to be any solution. I usually do not like predicting the future, except in hindsight. Still, my prediction is that Rabbi Bombach's approach will spread further, due to its obvious ethical value. Yet it will do so very minimally. The reason is that for most charedim, there is too great a fear that by teaching the children about the great sacrifices made by heroic soldiers, there is a risk that the children may want to join the IDF. 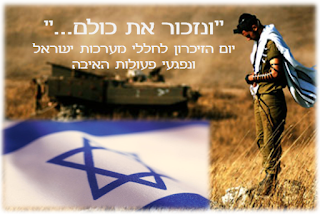 That is why charedi rabbanim have opposed praying for the welfare of soldiers. There are only a few brave souls who recognize that this fear should not outweigh the importance of showing care and concern for our brothers and sons who place their lives on the line for all of us. May Hashem comfort all those who have lost relatives and friends in the struggle for Israel's survival. When people from the charedi community give reasons and explanations for various aspects of charedi society, these are very often not the real reasons. It's not that these people are necessarily lying. Rather, it's that there are two "levels" of explanations. 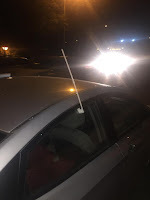 There are the explanations that are given for kiruv or PR or even internal purposes, and that are believed by many Anglo charedi wannabees, and sometimes even by some real McCoy Israeli charedim. And then there are the real explanations, which are well understood by astute observers of the charedi world, as well as many people within the charedi world. For example, why do charedim wear black fedoras, white shirts, and dark suits? The explanation often given, such as by Nosson Slifkin (my cousin's cousin) in a book called Second Focus, is that it is because a Ben Torah should dress respectably. However, that's not the real reason. The real reason is for social identification. 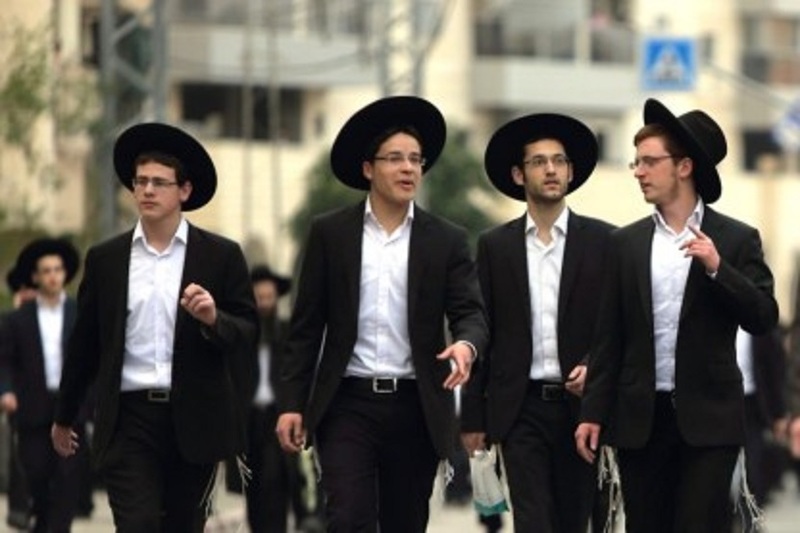 Thus, in charedi circles it is not acceptable to dress very respectably in a light suit and colored shirt and tie, but it is acceptable to dress with an ill-fitting jacket and battered hat and no tie. Another example is with the mass avoidance of army service. Often, spokesmen for the charedi community will claim that the reason is that the Torah study of all the yeshivah students provides a vital part of Israel's protection. But as I have written about on numerous occasions, aside from this having no basis in classical Judaism, nobody in the charedi world seriously believes it anyway. The real reason why charedim don't go to the army, as Rav Aharon Feldman once stated, is that army service is extremely threatening to the charedi way of life. A third example is with charedim not participating in Yom HaShoah. Explanations such as "the siren is chukas hagoy," or "we don't mourn during Nissan," or "we don't see the Warsaw Ghetto Uprising as being the correct event to base it around," have a lesser or greater degree of merit, but none of them are the real, underlying reason why charedim do not participate in Yom HaShoah. Even if Yom HaShoah was in Teves, and was commemorated by everyone simultaneously saying Yizkor, charedim still wouldn't participate. The real reason is that Yom HaShoah is an event created by and for the nation of the State of Israel as a whole, and charedim do not want to identify as part of that wider community. It's as simple as that. The last few posts were pretty heavy, so here's something a little lighter. At least, it's light in retrospect; while it was happening, I feared that something inexplicable was going on with the universe. Earlier today, I was involved in an online discussion about a photo of a "dead deer" found outside Ramat Beit Shemesh. I pointed out that the animal had been misidentified and it was actually a gazelle. 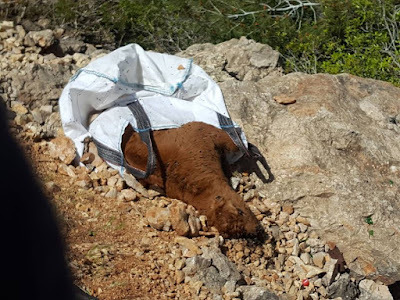 Meanwhile, someone mentioned that their son had just come back from a hike near Afula, where he saw a dead bear in a sack by the side of the road. This was clearly impossible. 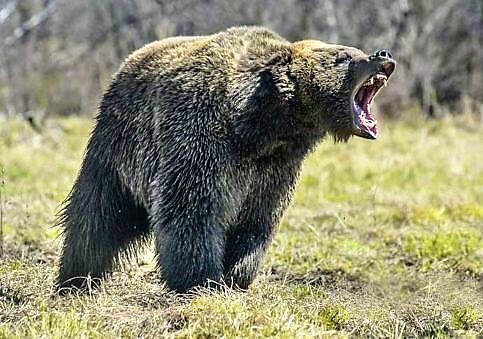 The last bear in Israel was killed 101 years ago, in 1917. There are a few bears in zoos, but they wouldn't be lying in a sack by the side of the road. As soon as I saw the photo, I laughed. That was no bear! Although it had certain similarities to a bear. It was obviously the animal that was called arktomys, "bear-mouse" in Latin, due to its rough similarities to a bear. 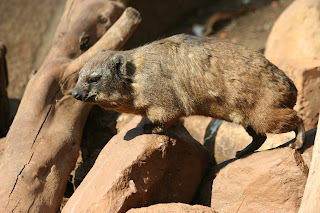 It was a hyrax, the very animal mentioned in last week's Torah reading (or this week's, if you live outside of Israel). There was no mistaking it. Brown fur. Pointy snout. Very small ears. Short, stocky legs. The hyrax is the only animal in Israel that matches all those characteristics. My wife saw the picture, and said, "Oh, that's a hyrax." Even my youngest child, age five, who wandered into my office and saw the photo, instantly said "Hey, look at that hyrax!" I pointed this out to the people in the online discussion. You see? Pointy nose, small ears, short stocky legs. All distinctive features of a hyrax. "But the animal in the photo is huge!" said someone. "That's a bag used in construction, and they are one cubic meter in size!" Well, that was impossible. So obviously there must be smaller bags that are of the same style. Sure enough, we consulted someone in construction, and he said that while most bags of that type are a cubic meter, there are some that are smaller. Because then someone pointed out the Coca-Cola bottle top. It's at the bottom right of the picture. And when I noticed it, I was stunned. A Coca-Cola bottle top is only about an inch wide. That would make the hyrax in this picture absolutely huge! A hyrax is only around eighteen inches in length, maximum twenty, but the one in this picture would be about three or four feet long! That was impossible. Completely impossible. There are no mutant giant hyraxes. This was Afula, not Dimona. So what on earth was going on? Was it some sort of optical illusion? Was this a prank? I felt like I was in an episode of The X-Files. The best guess that I had was that the ground was sloping down to the right in some kind of way that meant that the bottle top was much further away than it looked. I showed it to a colleague at The Biblical Museum of Natural History and he suggested that it was a combination of a rare outsize hyrax together with an optical illusion caused by the slope of the ground near the bottle-top. I decided to send the picture to a friend of mine at the Israel Nature and Parks Authority for his input. A while later, he got back to me. He said that the picture was indeed very confusing. But after discussing it with several colleagues at the Nature and Parks Authority, he had the answer. Now, this answer initially seemed preposterous! Cows don't have pointy noises. Cows don't have short ears. Cows don't have short, stocky legs. However, if you examine the picture again, and add some insights, you can see how there was an extraordinary confluence of bizarre factors that made a young cow look exactly like a hyrax. Let's start with the ears. Cows have big ears, not small ears. However, my friend argued that its ears were probably chewed off by jackals. What about the short, stocky legs? 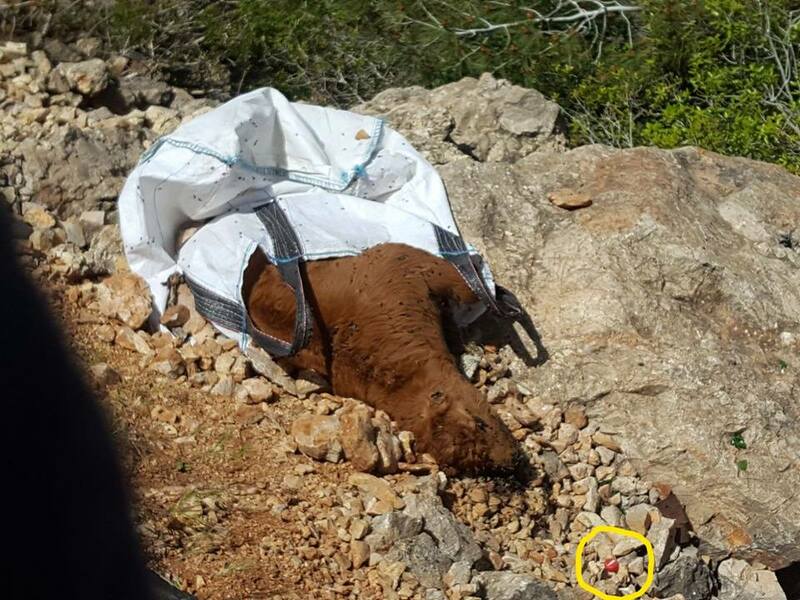 Well, once you posit that it is a cow, then you can see how the legs could theoretically be much longer, with the lower part of the leg concealed inside the bag. What about the pointy snout? It has a lot of flies around it. If you look very carefully and use some imagination, you can see how it could be a broad snout which only looks pointy because of the way that the flies were positioned when the photo was taken. Is all this too far-fetched? Well, before deciding that something is implausible, you have to weigh it up in light of the alternatives. It's much less far-fetched than positing that there is a bear or a giant mutant hyrax near Afula! Shabbat Shalom! 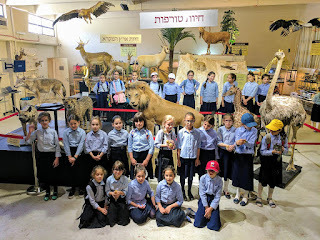 As you hear/read the Torah portion about hyraxes, non-kosher birds, and the shemonah sheratzim, remember that you can see and learn about these animals at The Biblical Museum of Natural History! Is Yom HaShoah observed on an inappropriate day? In the previous post, I explained the mistake in the charedi position that saying Tehillim, rather than standing in silence, is a more traditionally Jewish way of commemorating the dead. 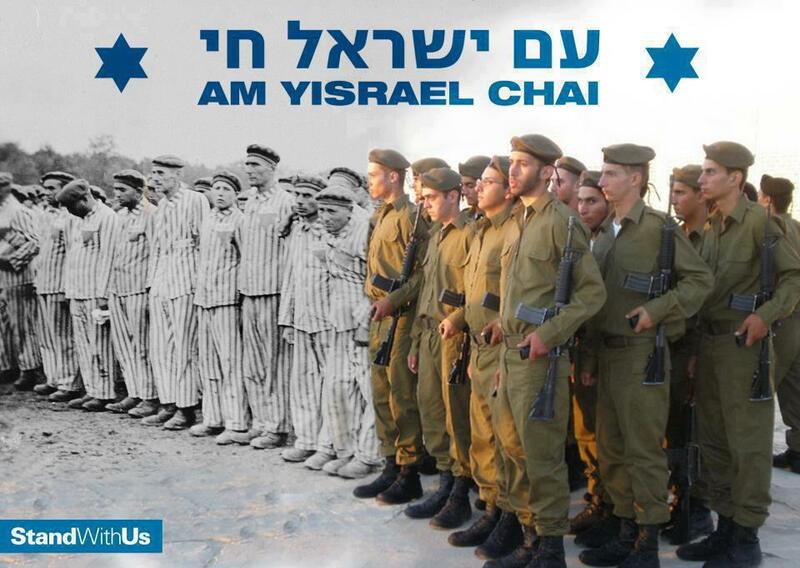 In a future post, I will explain the fundamental reason why charedim do not participate in Yom HaShoah. In this post, I want to address a particular objection, voiced by charedi leadership, to the day picked to commemorate the Shoah. It is an objection with a certain degree of merit. There are a number of possible days to commemorate the Holocaust, which fall into several categories. One could choose a day which denotes the beginning of the Holocaust. This itself is open to a range of possibilities. In a course on Holocaust Studies that I took at Bar-Ilan, by Dr. Judy Baumel-Schwartz, she noted that historians dispute the date that should be said to begin the Holocaust - the rise of the Nazi Party in 1920, the German elections in July 1932, the election of Hitler as chancellor in January 1933, the passing of the Nuremberg laws in 1935, Kristallnacht and the accompanying race laws in November 1938, the outbreak of World War II in 1939, the launch of the Final Solution in 1941, or the Wannsee Conference of 1942. Another option is to choose a date of religious significance. The first Holocaust Remembrance Day in Israel was on Asarah B'Tevet 1949, following a decision by the Chief Rabbinate of Israel that it should be observed on a traditional day of mourning in the Jewish calendar. Others commemorate it on Tisha B'Av, when they add extra Kinnot. When the Knesset decided in 1951 to establish a day to commemorate the Holocaust, however, they decided to choose a very different type of day: One relating to the Warsaw Ghetto Uprising. This began on the 14th of Nissan, but this date was rejected since it would be impractical to observe Yom HaShoah on erev Pesach. So instead, they picked the date of the end of the uprising, the 27th of Nissan. Why did the Knesset choose a day relating to the Warsaw Ghetto Uprising? 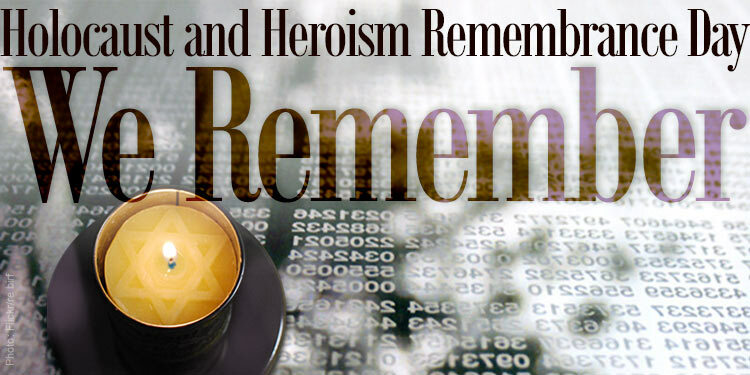 This relates to the full name of Yom HaShoah: Yom Hazikaron laShoah ve-laG'vurah, "Holocaust and Heroism Remembrance Day." It is a day of commemorating not only the tragedy of those who died, but also the heroism of those who fought back. The incredible events of the Warsaw Ghetto Uprising, when the few drove out the many, were a psychological victory, demonstrating that Jews could be fighters and heroes. 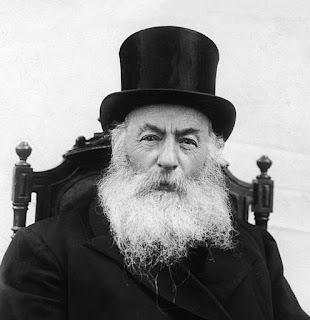 My late father, Reb Eliezer Gershon Friedenson, who gave away his last morsel of bread to the weeping children of the ghetto, was no less a hero for not having ever shot a gun... And what of the thousands of young men and women who did not part with their elderly fathers or mothers, although they could have saved themselves, and accompanied them right into the gas-chambers? And those who sacrificed themselves in order that others should live? They were all heroes. Yes, we find this new segregation of heroism at the commemoration reprehensible to our whole hashkafah, philosophy, on the Holocaust. In my humble opinion, this objection to the date chosen for Yom HaShoah has much merit. 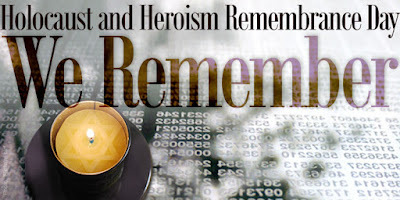 So why do I believe in observing Yom HaShoah on the 27th of Nissan? Because if you define yourself as part of a group, then you should be open to compromise for the sake of achdus. Consider the response of one of the leading halachic authorities of the 18th century, R. Yaakov Reischer, when he was asked about a move to reject the kosher status of meat that was slaughtered in outlying villages by Jews that were insufficiently learned or pious. R. Reischer strongly condemned this approach (Shevut Yaakov II:58). He argued that the Jewish community must be united and not splinter into groups with different standards. And this was for a halachic matter! The fact is that Friedenson himself notes that in 1975, he requested of the Moetzes Gedolei HaTorah to define a way of commemorating the Holocaust, and that while they agreed that this must be done, it never happened. Meanwhile, the Government of Israel, and the majority of the population of Israel, selected the 27th of Nissan. 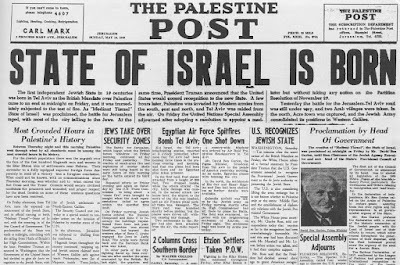 And so whatever inappropriate subtle messages are contained in the selection of that date (and to be honest, the "VeHaGevurah" part of Yom HaShoah is rarely even mentioned, let alone dwelt upon), the fact is that this is the date which the nation has picked. The choice of which day to designate for Yom HaShoah was perhaps inappropriate. But the day on which it is appropriate to commemorate the Holocaust is the day that now exists for this purpose. But after careful study of this topic, I realized that this is entirely backwards. The practice of sounding the siren for two minutes of silence has its roots in South Africa. During World War I, a businessman in Cape Town suggested that his church observe a silent pause in memory of those who fell in battle. Subsequently, the Mayor of Cape Town instructed that at noon on May 14, 1918, the daily firing of the Noon Gun (for the ships to set their chronometers uniformly) would serve as the signal to begin two minutes of silence in memory of the fallen. This custom later spread throughout the British Empire, and eventually to many different nations and cultures. The Jews living in Palestine adopted this custom and observed a minute or two of silence in response to tragic events. After the War of Independence, the Rabbinate of Israel decided to set Memorial Day on the day before Independence Day. The newly installed national system of air-raid sirens provided a means to simultaneously alert everyone in Israel to observe the silence at the same time. 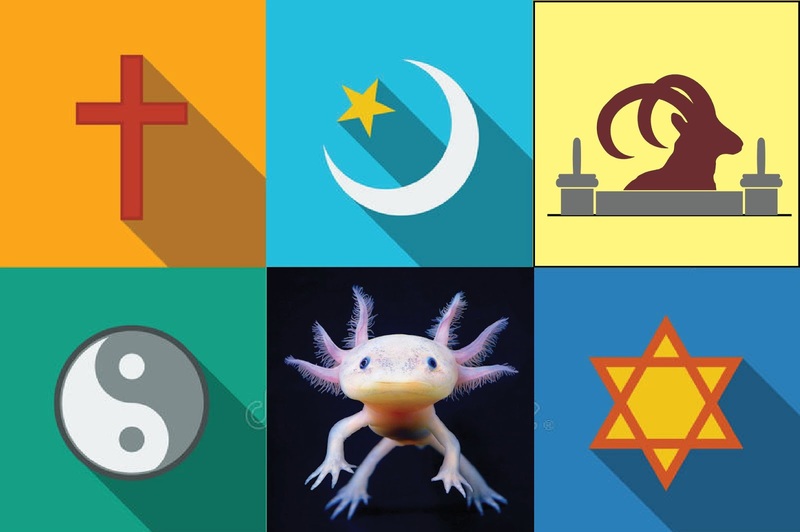 This even includes practices which relate to the religious sphere. Ketav Sofer permits the innovative non-Jewish practice of carrying the dead on wagons. In the Orthodox Jewish community today, everyone refers to verses in Scripture via chapter numbers, even though these were introduced by non-Jews. And, of course, we refer to the months of the Hebrew calendar with names that originated in Babylonia. 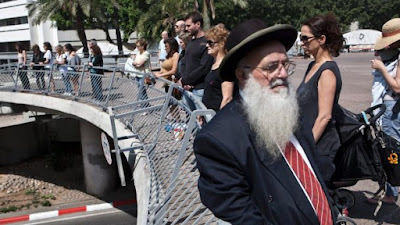 Rabbi Moshe Feinstein (Igros Moshe, Orach Chaim 4:24) even permitted Jewish schoolchildren in public schools to participate with Christian schoolchildren in non-denominational school prayer! In fact, not only is there nothing specifically non-Jewish about the practice, it even has conceptual roots in Judaism. Such a response to death goes back to the Torah itself. When Nadav and Avihu were killed by fire, it says vayidom Aharon, "Aharon was silent." While some see this as meaning that he uttered no complaint about God’s judgment, others see it as expressing a natural response in the fact of tragedy. Likewise, we find that Iyov's friends sat in silence with him for seven days. The Talmud (Berachos 6b) says that "the merit of attending a house of mourning lies in maintaining silence." Silence expresses both commiserations and solidarity with others, and contemplating matters in our minds. This is something that is very much part of traditional Judaism. On the other hand, just how traditional is it to say Tehillim on behalf of the dead, and what does it accomplish? We do not find any mention of such a thing in the writings of Chazal and the Rishonim. 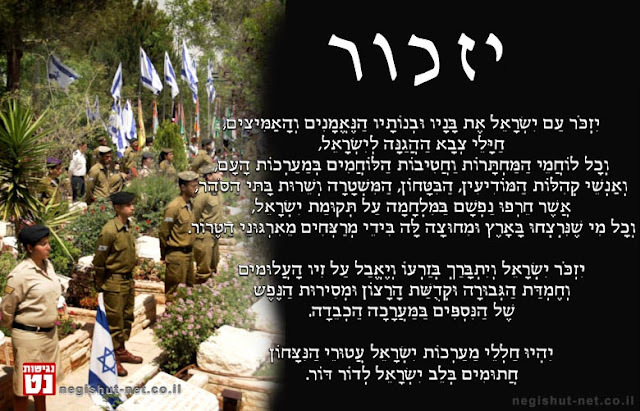 In classical Judaism, one gives charity for the dead and one prays (such as with the Yizkor prayer, which is recited at Yom HaZikaron events). For one's ancestors and teachers, one learns Torah and does good deeds as a credit to them. Saying Tehillim for strangers does not appear to have any basis in classical Judaism. As I discuss at length in my essay What Can One Do For Someone Who Has Passed Away?, the earliest sources to discuss such things indicate that one cannot actually accomplish anything for the deceased in such a way. So which is the traditional Jewish way of commemorating those who died in tragic circumstances, and which is the meaningless custom of recent origin? Like so many other topics, this relates to whether one follows the rationalist approach of the Rishonim or the more recent mystical approach. Similarly, it also depends on whether one defines Jewish tradition as starting in Biblical times and carrying on through the Sages of the Talmud and the Rishonim, or whether one defines it as starting about a hundred years ago. Over the last few weeks, a mesmerizing political drama has been unfolding in my old home country, England. The leader of the opposition, far-left Labor politician Jeremy Corbyn, has been the center of an enormous scandal about antisemitism in the Labor party and his own complicity with it. After being repeatedly blasted in the press, and a demonstration taking place outside Parliament, Corbyn finally issued a firm apology in which he acknowledged the existence of antisemitism in the Labor party and promised to fight it. Now here is where it gets truly incredible. Just as Corbyn was trying to desperately extract himself from this mess, he went and attended a Passover seder by a radical fringe group known as Jewdas. 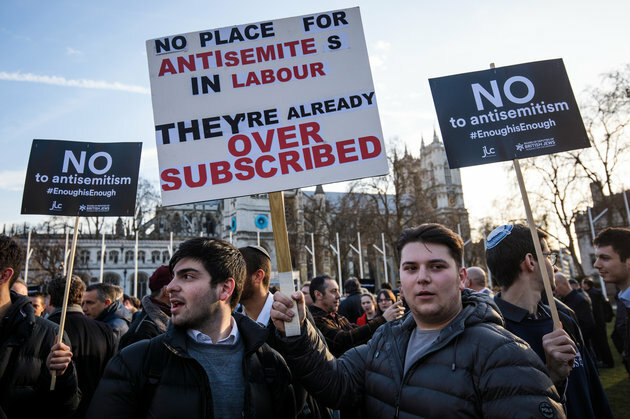 Now there is some disagreement going on in the UK about whether Jewdas is a group of "good Jews" or "bad Jews," since they have put in a lot of effort to fight certain types of antisemitism. Still, I recommend this important article by non-Jewish leftist Alan Johnson, about the connection between anti-Zionism and antisemitism. He points out left-wing antisemitism today has taken on a new form, that he calls "antisemitic anti-Zionism." Johnson notes that "Antisemitic anti-Zionism bends the meaning of Israel and Zionism out of shape until both become fit receptacles for the tropes, images and ideas of classical antisemitism. In short, that which the demonological Jew once was, demonological Israel now is: uniquely malevolent, full of blood lust, all-controlling, the hidden hand, tricksy, always acting in bad faith, the obstacle to a better, purer, more spiritual world, uniquely deserving of punishment, and so on." Yet, for argument's sake, let's say that Jewdas isn't an antisemitic group. And some people - even those who have been protesting Corbyn and Labor's antisemitism - argue that attending the Jewdas seder was fine, since after all, they are a group of committed Jews. But all this is missing the point. After such a huge stink about antisemitism in the Labor party, after Corbyn had to apologize and promise that he was committed to uprooting antisemitism, just a few days later he attends such an event? Of all the Jewish groups to meet with, this is the one that he chooses? What kind of message does this send to the rest of the Jewish community? Because the real point is specific and limited – and all the more important for that. It is that at the very time when Jeremy Corbyn is claiming to be “an ally” in the fight against antisemitism, when he is issuing finely worded statements about his commitment to that fight, the one group he chooses to endorse by his presence just days after the mainstream Jewish community protested about his refusal to take antisemitism seriously is the group that last week issued a statement dismissing the idea that there is any serious issue around antisemitism in the Labour Party." There comes a point when a person appears to be so utterly obtuse, that it's hard to see the situation as being anything other than either all a wilful deception, or that the person is so morally blind as to be evil.